While Google didn’t announce any devices that will use Google Fit, one of the first ones to do it may be the Adidas miCoach Fit Smart. This is a new fitness tracker that was spotted online thanks to retailer Keller Sports. 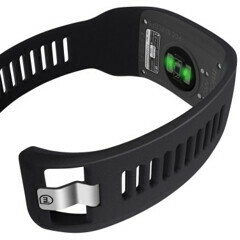 The miCoach Fit Smart also appeared at the FCC, and Adidas already trademarked its name. Reportedly, the miCoach Fit Smart will be able to gather information such as heart rate, calories burned, steps taken, speed, and so on. According to the FCC, the device features Bluetooth 4.0 LTE, and we assume that this is what it’ll use to communicate with your smartphone, or tablet. The Adidas miCoach Fit Smart doesn’t have a regular display, instead offering an LED dot screen. Its heart rate sensor is visible on the back. Although we can’t confirm that the miCoach Fit Smart will use Google Fit, Adidas is one of the new platform's partners, and the device’s name is pretty suggestive, too. So we say that this has to be one of the first Google Fit wearables (time will tell if we're right). We don’t know when the Adidas miCoach Fit Smart will be released, but we hope to find out more about this soon. Fitness wearable is gearing up to meeting Google Fit platform. I might get one of these. Fortunately for me I do like Google Inc.